Are you looking for flexible work to fit around auditions and roles? Are you entertaining and engaging? 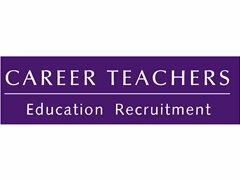 Here at Career Teachers, Claire is recruiting for a number of brilliant primary schools in North London who are looking for actors for daily Teaching Assistant work. We find that actors make fantastic TAs in primary settings - able to engage with pupils on their own level - making learning fun and exciting. The roles are flexible to fit around your own acting schedule so that you can work on the days that you are free and still have time to rehearse for roles and attend auditions. TAs are vital to the overall learning and development of pupils at the school, tailoring their approach to optimise learning opportunities. Our schools provide expert learning opportunities to children in the local area, supporting pupils to be well rounded, enjoying learning, making friendships and having a range of opportunities that might otherwise not be available to them. Our schools works effectively with all members of their community, parents and staff, to provide a safe and nurturing environment, de-escalating challenging behaviour and promoting positive relationships. As a Teaching Assistant you will be supporting pupils, cultivating a love of learning. We are not looking for the finished article and are able to offer a lot of support and CPD training to help you feel confident in the job.